Location! Location! Spacious Principal Rooms With Great Floor Plan. Beautiful Hardwood On Main Level, Eat-In Kitchen With W/O To Fenced Yard. Open Concept Living Room Open To Dining Room, With Large Windows. Steps To Go, Village Shops, Restaurants. 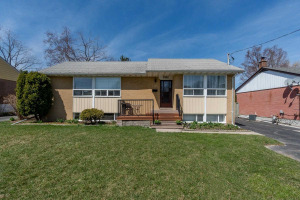 Located In The Highly Rated Vista Heights School Area In Popular Streetsville. Finished Basement With Large Rec Room. Beautiful Decor Throughout, Great Family Home On A Quiet Cul-De-Sac On Large Pie Shape Lot.